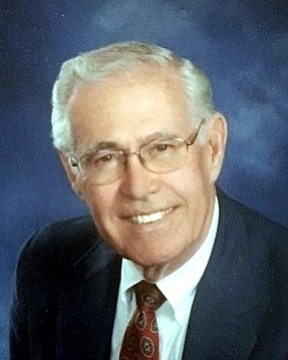 Keith Eldon Wilson died Monday, April 1st, 2019, at the age of 81 in Meridian, Idaho. He was born July 9, 1937, in Twin Falls, Idaho to Walter Eldon Wilson and Alma May Baird. He attended schools in Boise, graduating from Boise High School in 1955. He then went to Westmont College in Montecito, California, on a basketball scholarship, where he graduated in education in 1959. He married Suzanne Moore of Pasadena, with whom he had three children. He subsequently received a master's degree in education, and pursued the field of secondary teaching in the Oxnard Union and Conejo Valley School Districts. He later became an administrator, working at Newbury Park High School, Westlake High School, and retiring as Principal of Thousand Oaks High School. Keith loved music. He had a beautiful singing voice which gave him many opportunities, including singing in the Westmont Quartet, and even the fun of singing backup for many famous people including: Frank Sinatra, Nat King Cole and Kay Star. He was Choir Director at Trinity Presbyterian and later the United Methodist Church in Camarillo for over 20 years. After his retirement, he worked at mastering golf, living on the River Ridge Golf Course in Oxnard and working there as a marshal and later in the pro shop. At the Boise High School 50-year reunion, Keith reconnected with Sheila Broadbent Wendell, a classmate he had dated during their senior year in high school. They were married in 2010 and enjoyed the last nine years together. Keith is survived by his wife, Sheila; sons Doug (wife Martha) and Randy (wife Robin) Wilson, and daughter Stephanie Reed (husband David); brothers, Donald (wife Marlene) and Mel (wife Janet) Wilson. Together, Keith and Sheila have 14 grandchildren and 2 great-grandchildren. A special thank you to the caregivers at Veranda Assisted Living and the nurses at Treasure Valley Hospice for their kindness and loving care. A Celebration of Life for Keith will be held Saturday, May 11, 3:00-6:00pm at the Cadence Clubhouse (southwest corner of Meridian Rd. and Chinden Blvd.) in Meridian. In lieu of flowers, donations may be made in Keith's memory to the Alzheimer's Association or to the Westmont Fund of Westmont College. There's still time to send flowers to the Memorial Service at the Cadence Clubhouse at 3:00 PM on May 11, 2019.